Kids can not get enough of this one! 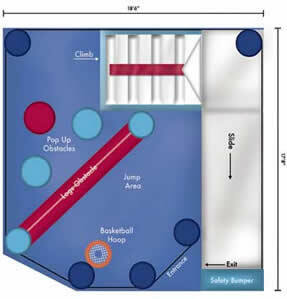 You can get the prize for being the “Coolest Parent” by having our USA Sports 5 in 1 Obstacle Course Combo at your next party. 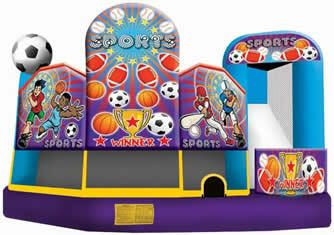 There is a ton of room in our USA Sports 5 in 1 amusement rental that is perfect for the ages of 3 years old and up. If you are ready for more fun for the kids to tackle ask about the different themes we have for our 5 in 1 Obstacle Combo Units.